The next morning at 9:15, Colton pulled out a rubber band. My cooperating teacher looked over at me. I gave her a wink and a thumbs-up. I walked right over to Colton and raised my eyebrows. I am sure I looked like I had just had a bad face-lift. “Then why are you looking at me like that?” Colton asked. “I want you to put the rubber band away,” I said. Riverview Afterschool and Riverview Student Council are pleased to announce the 8th annual Food Drive and Giving Tree service project. This service project will be Nov. 27th-Dec 20th, our goal is to BEAT the last year’s total of 3000 cans of food! The food will be donated to families in our school, Nebo Pantry, and the Utah Food Coalition. Diapers and wipes, kid’s gloves, and hats. If any student donates socks, underwear, gloves or coats they will get 5 bonus points for the food drive. Each can of food will be worth 1 point, teachers will keep track of class points. There will be a contest between the classes, the class per grade level that collects the most cans and bonus points will receive a root beer float party. This is a great opportunity to teach our students about larger service and being grateful for the things we have. Students could do jobs around the house to earn their canned food. All cans should be brought to the student’s classroom to be counted and recorded. PLEASE make sure the cans are not EXPIRED. THANK YOU FOR YOUR SUPPORT!!!!!!!!!! LETS ALL WORK TOGETHER FOR A GREAT CAUSE. Don’t forget that this Friday, December 1st is Popcorn Friday. All students who have a birthday in the month of December will receive a free bag of popcorn at lunch recess. Additional bags may be purchased for .25 cents. 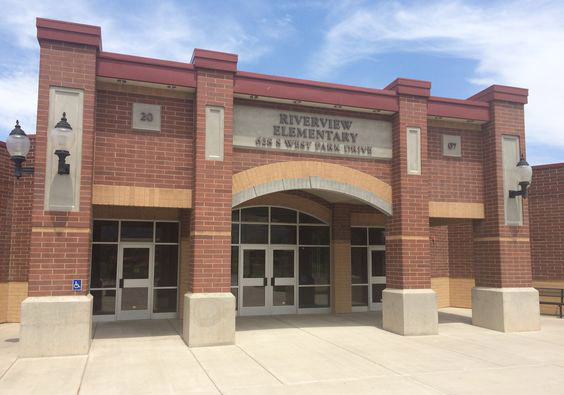 Friday is also Riverview Spirit Day. Wear your Riverview shirts!